Looking for free German Shepherd puppies? If you are looking for a German Shepherd, and your budget is tight, you can find your new best friend nearly free or at a decent price. You just have to know where to look. 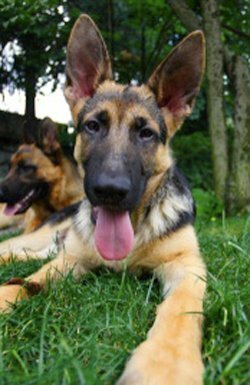 A German Shepherd rescue group is an excellent resource for GSD adoption. Most of the dogs they place are one year or more, but they often have puppies as well. The placement cost is around $250 or more. This normally includes vaccinations, a heartworm test, and spay or neuter. For about one third of the price of a purebred GSD from a reputable breeder, you can give a deserving dog a second chance. Rescue groups specialize in finding forever homes for lost, abused or unwanted German Shepherds. They have extensive knowledge of every dog they place and can normally match you with the right dog for your unique situation. Find a German Shepherd Rescue. Do you have a German Shepherd rescue success story to tell? It may take some patience and persistence, but you can find a nearly free German Shepherd from a local shelter. If they don't currently have puppies, check back often. Or ask them to call you as soon as they get one. Adoption fees can range from $25 - $150. The adoption fee will normally cover an initial vet checkup with puppy shots and a spay or neuter. This is cheaper than the cost of a purebred German Shepherd from a rescue group. And much cheaper from a reputable breeder where you should expect to pay at least $700 for a quality GSD. One quarter of all shelter dogs are purebreeds. Why adopt a dog? You may be their last hope. Many shelters only hold dogs for a week. If they are relinquished by their owner, they are on the short list for euthanasia, as they are not considered lost and no one will be coming to look for them. My Begian Malinois, Ryder, was 48 hours away from being put down after his owner signed him over. Search for a local animal shelter. If you are looking for a German Shepherd, avoid Craigslist and other free listing sites. 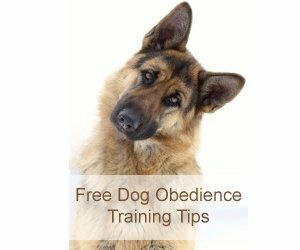 Most of these dogs will likely have poor temperament and/or assorted health problems. Don't make price your primary consideration. Backyard breeders and puppy mills price low to sell quickly. Avoid these unscrupulous breeders. Even if an ad reads AKC registered dogs, this is not necessarily a sign of a quality dog. My AKC registered dog came from a BYB. Be aware that Puppy Mills also use this as a lure for unsuspecting buyers. It is extremely possible to find an affordable German Shepherd. Exercise patience. You don't have to break the bank. Your new best friend is worth the wait.